Aoba, also known as Ambae, is a massive 2500 cu km basaltic shield volcano that is the most voluminous volcano of the New Hebrides archipelago. Aoba volcano Volcanic Ash Advisory: ONGOING LOW LEVEL ERUPTION. 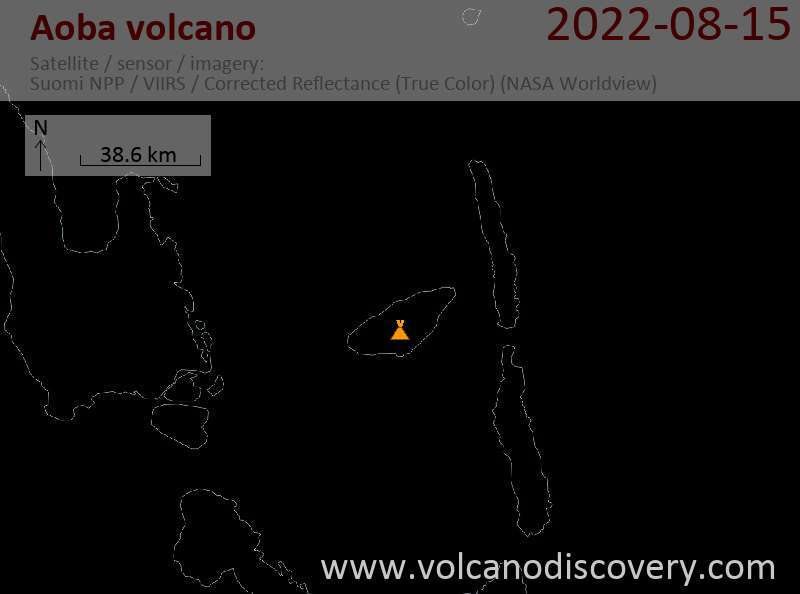 Aoba volcano Volcanic Ash Advisory: NO REPORTS OF ACTIVITY DURING LAST 18 HOURS.